Forgotten Titans is about all those epic Star Wars ships I grew up with that woke my imagination to new worlds. Source of inspiration are many; from the movies, to books, fan art, concept arts... and of course; My own dreams. Built, painted, weathered, photographed and post at my studio. 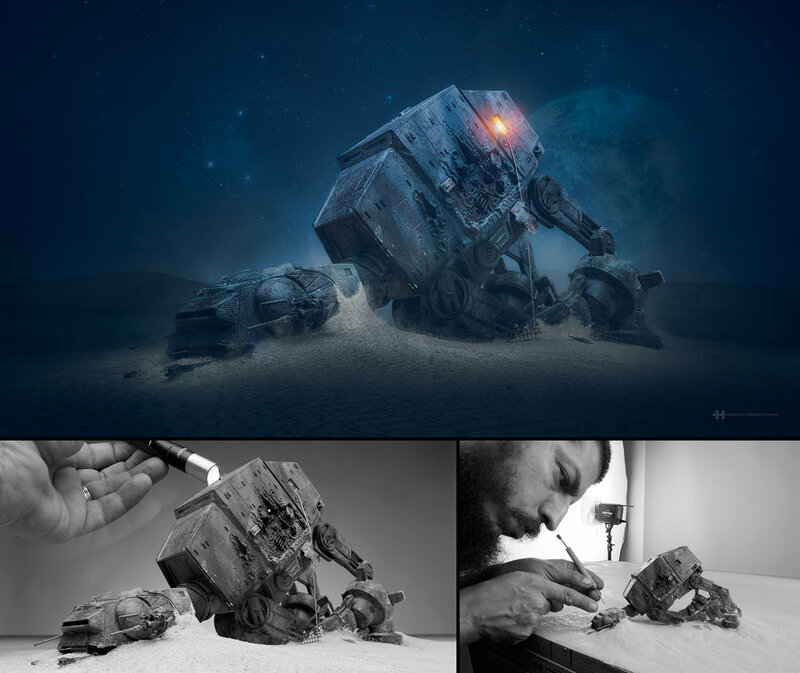 "Rey's Home" are the two first images of this series; A fallen At-At in Yakku, years pass by and now is Rey's home. Stay tune for upcoming Forgotten Titans and make sure to watch the bts video.